In my opinion, hockey video games are the greatest sports video games. Many people may disagree with that statement but keep in mind, people doubted me when I said that Mac and Me would be the highest grossing movie of all time (If I don’t look at the facts, I can’t be wrong! U-S-A! U-S-A!). 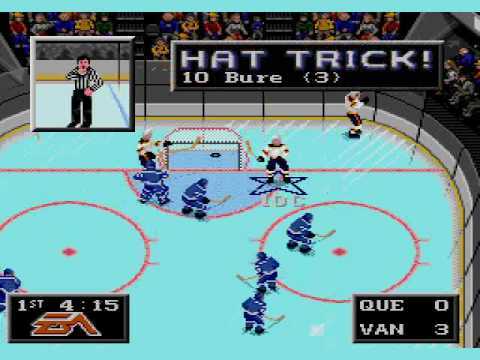 Anywho, a gent by the name of Matt Larkin wrote an amazing piece on the history of hockey video games (you can read it in its entirety here). However, we know many of you just want the nuts and bolts of it along with some fun videos (that you won’t even sit through, god, how lazy are you?) to go along with it. So here is a summary of the article. Enjoy! Previous PostCartoon Where Are They Now?